Like static member variable, we can also have static methods. Static methods do not operate on objects. Static method can access static data member and can change the value of it. A static methods can be accessed directly by the class name and doesn’t need any object. 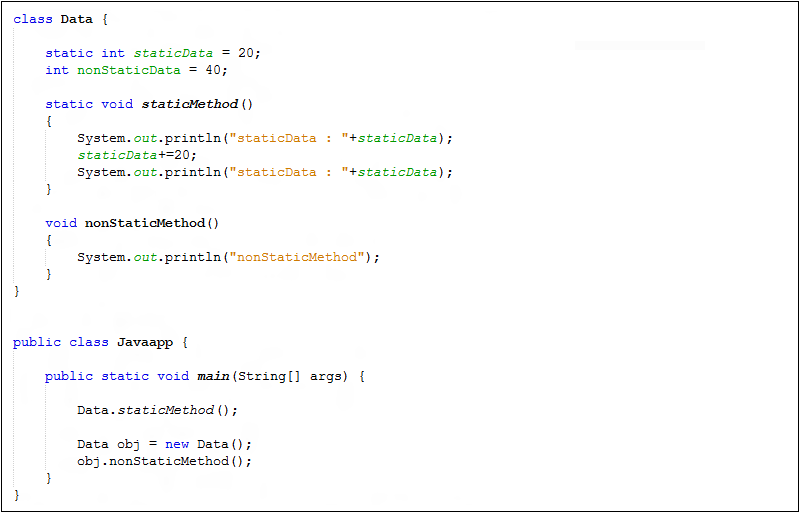 Static methods can only access static variables and static methods.